Earlier this year I talked in the Get Back to Design Facebook group about getting referrals for your business. This is by far one of the easiest ways to get more work and more clients. But here’s the thing – to get referrals you want to make sure your clients have a great experience while working with you so that they’re excited to tell everyone they know to work with you. Creating a great client experience takes giving special attention to each step in your process, and it has more benefits than just getting more referrals from your past clients. So in this week’s episode we’re going to break down a few things you can do to create a great experience for your clients and the other benefits it’ll have for you. 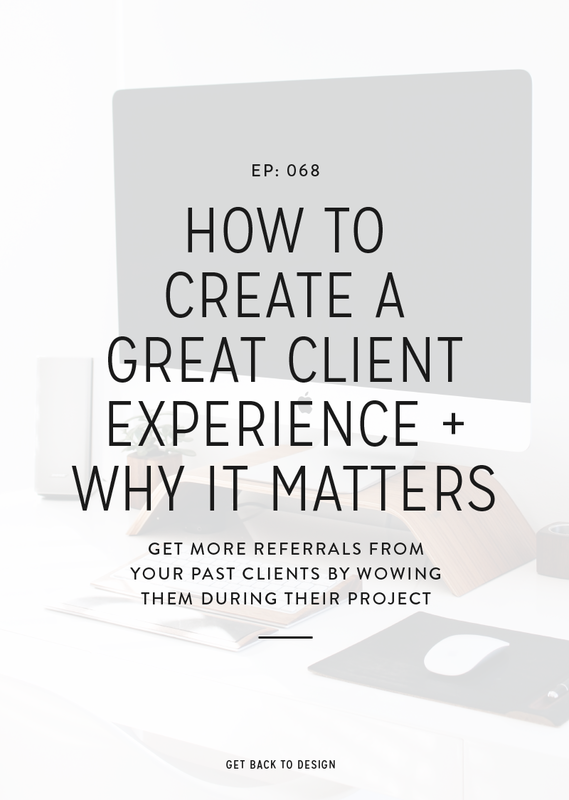 Obviously I’ve already talked about how have a great experience for your design clients can help you get more referrals, but there are more benefits for you than just that one! Having a good client experience means being organized every step of the way with your clients. 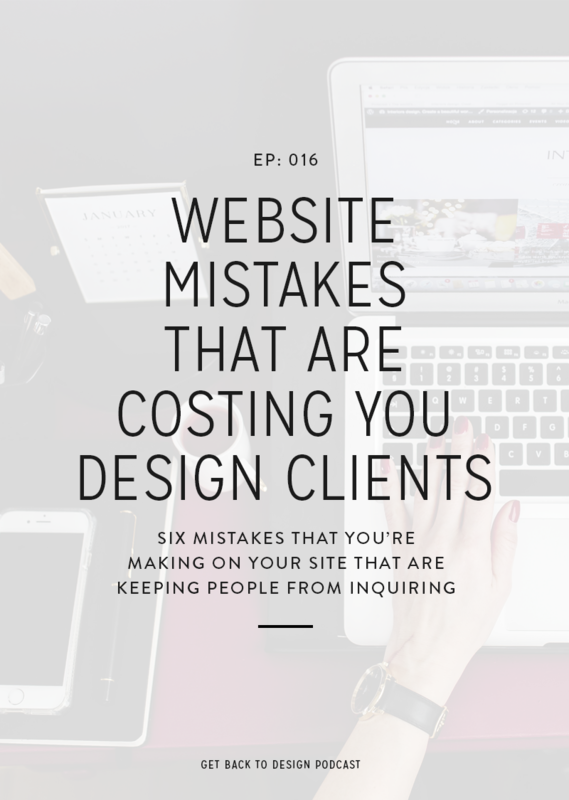 If you’re just getting your design business started or you’ve been a little all over the place trying different things for your clients, taking the time to get organized and create a great client experience will actually help you save time with your clients. You won’t have to recreate files every time or guess your way through what you’re supposed to do next. Not many people stop to think about what makes them different as a designer beyond their design style. However, when you take the time to go through your client process step by step you’ll be able to see if you take any unique steps with your clients. This could be something as simple as offering additional collateral items, taking the one concept approach or going through an in-depth brand strategy. Knowing what makes you different as a designer will help you know exactly what to post on social media and include on your website to help market your design services. How would it feel to head into your next project knowing that you’re finally going to be making more money? Having a great client experience paired with the amazing design work that you’re creating for your clients will give you the ability to raise your rates because it’s instantly worth more to work with you. So how do you create a great experience? Now that we’ve covered why it’s a great idea to make sure you have a good client experience, let’s take a look at the steps to take to get there. Take a look at your project timeline – starting from step zero, which would be someone finding you on social media or landing on your site. 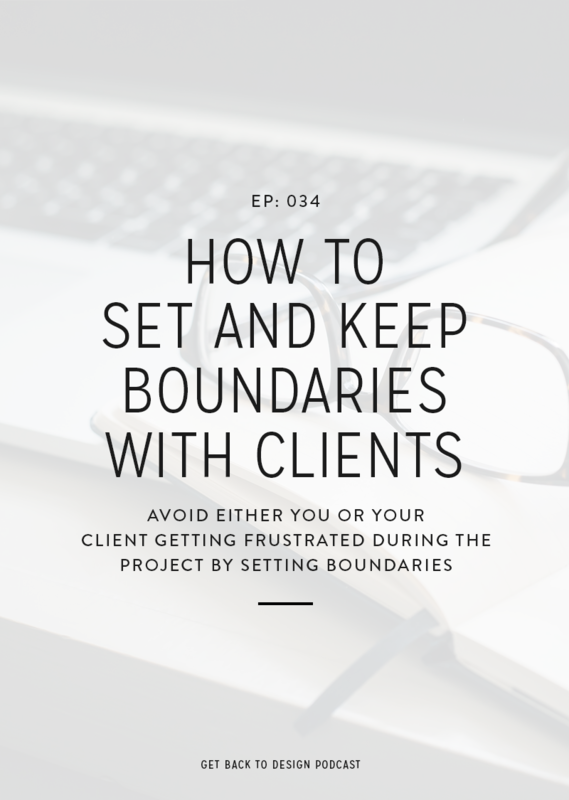 Then you’ll want to go all the way until the project is over or when you follow up with your clients. 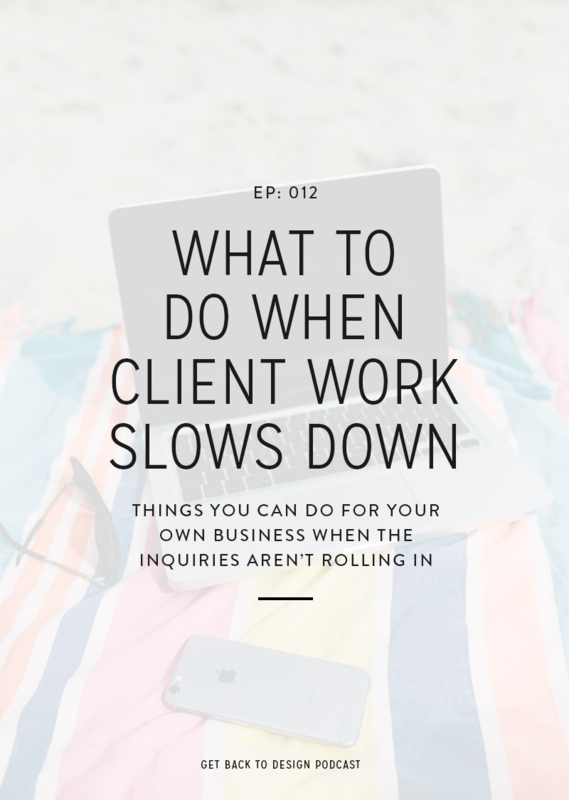 Go back and take a look at your timeline, and be honest with yourself about what’s not working well whether that’s for yourself and your process or for your clients. 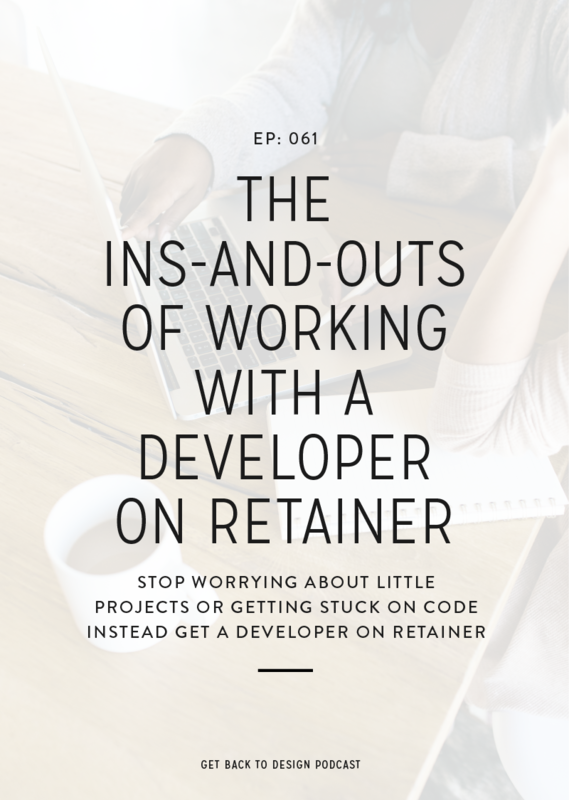 Maybe you’re spending too much time with onboarding or your clients are having to ask about their final files because you’re not sending them over in an organized fashion. Take one step at a time and fix what’s not working. Streamline as much as you can for yourself so you’re not recreating the wheel with every client. This means proposals, contracts, questionnaires, presentation files, brand guidelines, anything that you’re using for every client. We talked about this in episode 4, but take things a step further with your client experience, and consider how you can go above and beyond for your clients. Maybe this is by sending them a thank you note or gift. Maybe you make them extra graphics for their launch or collateral to use for their new branding. Remember how I talked about how you’ll uncover things that make you unique as a designer? Well, this is where you’ll want to focus on those things. 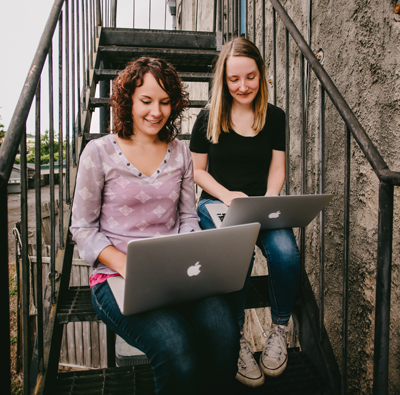 Pull out what makes you unique and share those things on social media, in your newsletter, blog posts – wherever you’re marketing yourself. Even if you don’t think you’re a unique designer, I can almost promise you that there’s something you do different from everyone else!